Frank Ocean&apos;s video stream on his website, which has been dormant for the past several weeks, became active again late Thursday night. With no warning, Ocean began—again—building a staircase in a giant room. This time, though, what appeared to be new Frank Ocean songs were playing over the speakers. 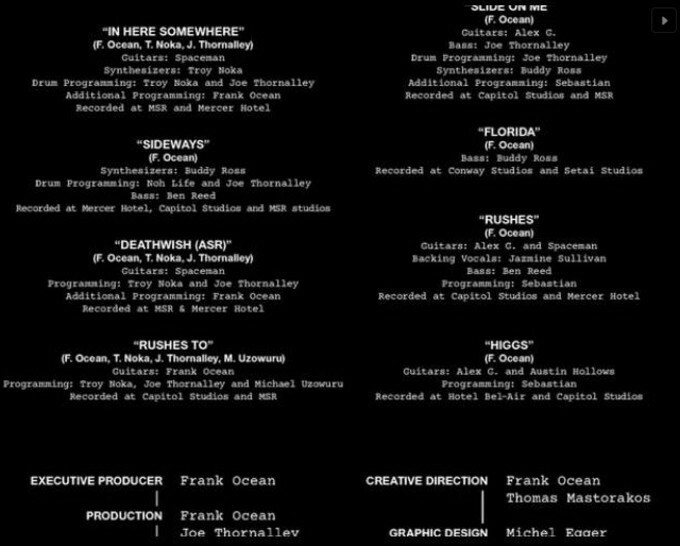 As the stream was playing, it was announced that what we were watching was actually a "film by Frank Ocean" called Endless, which can be found on Apple Music. 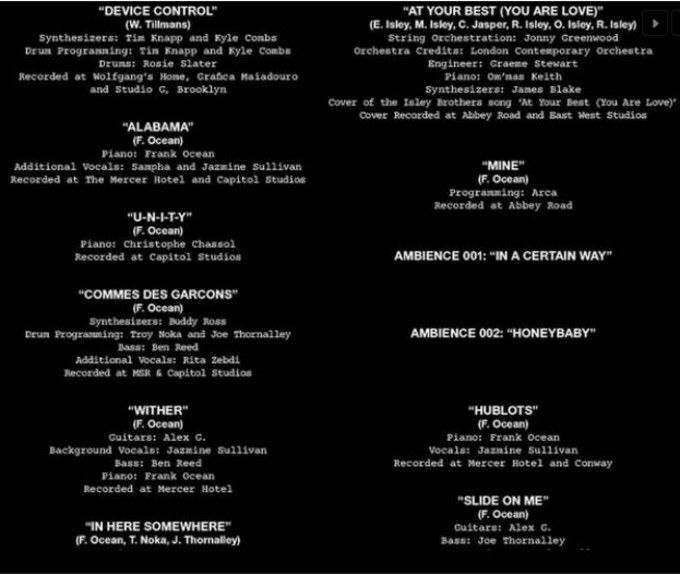 Credits for the film&apos;s music can be found below. The names on it will be familiar to many. They include singer Jazmine Sullivan, Sampha, producer Alejandro "Arca" Ghersi, and even Radiohead&apos;s Jonny Greenwood, who wrote string arrangements for the project. A New York Times reporter confirmed the release, and hinted to "keep an eye out this weekend" for more from Ocean. Rolling Stone also reported a new project would be released from Frank this weekend, though the publication wrote it "has learned that the singer has scrapped" the Boys Don&apos;t Cry title "in favor of an alternate title." Whoa. The songs were mostly unfamiliar, though one was a version of "At Your Best (You Are Love)," originally done by the Isley Brothers and covered by Aaliyah. 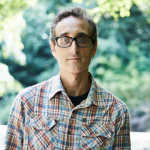 Ocean originally released a take on the tune in early 2015 under the title "You Are Luuh." This version was similar, but slightly reworked. Astute listeners noticed that some of the songs had been previously played as instrumentals when the video stream first went up. Reaction to Endless on Twitter was ecstatic. Some fans, however, were upset that despite the new music, Boys Don&apos;t Cry was still not released as of this writing.